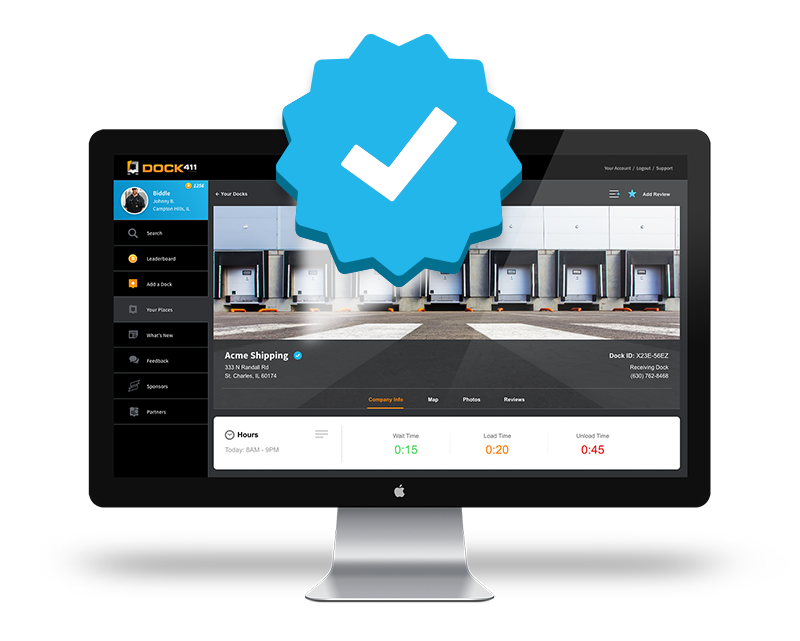 Dock411 gives Shipper/Receivers the ability to list and share their dock’s information. Improve flow and safety in and around your facility by working with informed Drivers. 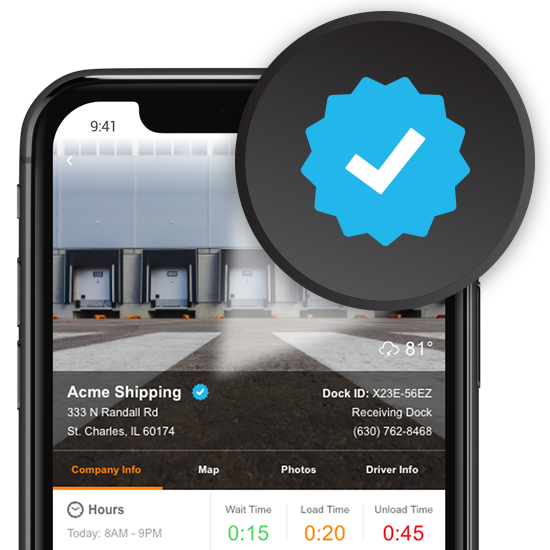 A Dock411 Official Listing gives you the ability to answer drivers’ questions about your location once and have them prepared before they arrive. 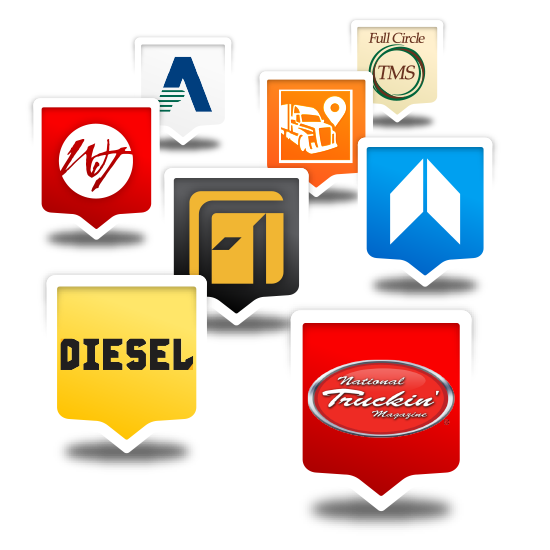 An Official Listing badge signifies to drivers that information about your facility was supplied by the company itself, not only other drivers. Providing location details to drivers saves you time, money and frustration. As a Dock411 Official Listing, your company gets it’s own custom branded map marker! Drivers in the area will be able to see your facility on their Dock411 map and know that your information is listed in the app.